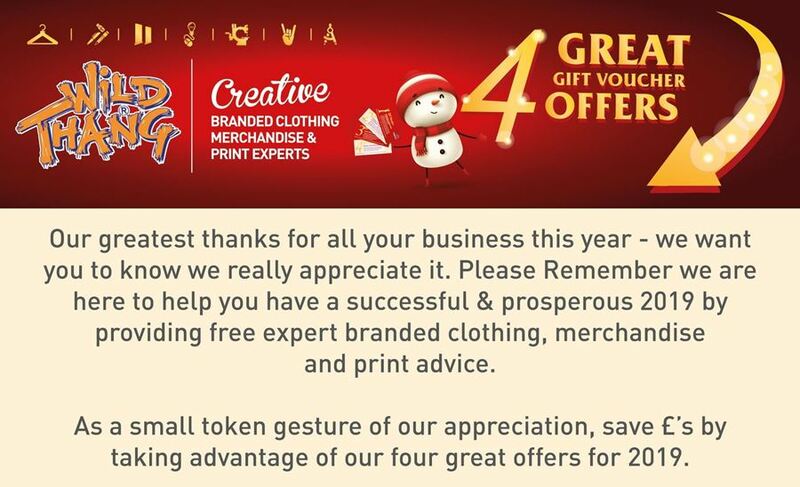 Wild Thang special thank you festive discount vouchers ! Due to changes in Data Protection regulations, we need you to give us the OK to keep sending you emails. Simply click the button below and we’ll make sure you don’t miss out! 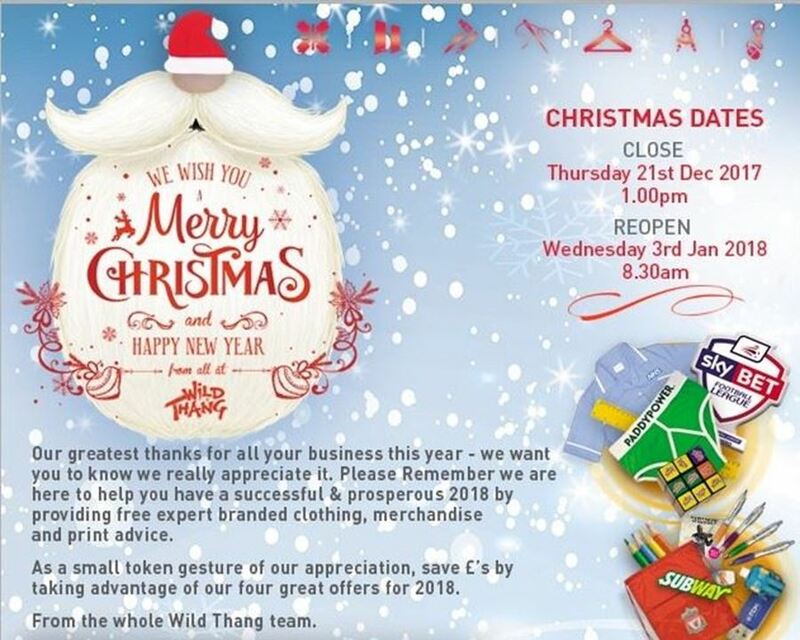 Wishing you a very merry Christmas and happy New Year from the whole Wild Thang team plus important opening and closing dates over the festive break. 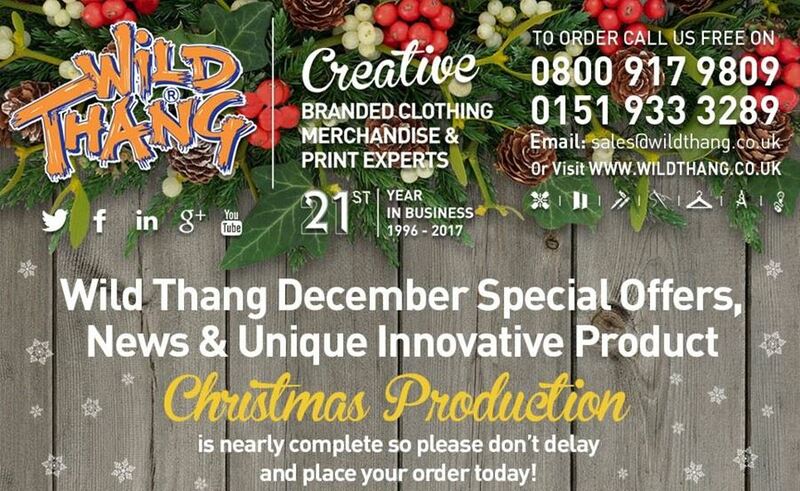 While many of the images shown highlight merchandise produced by Wild Thang a number of images we are sharing purely to provide branding inspiration & optimum effect of personalisation. 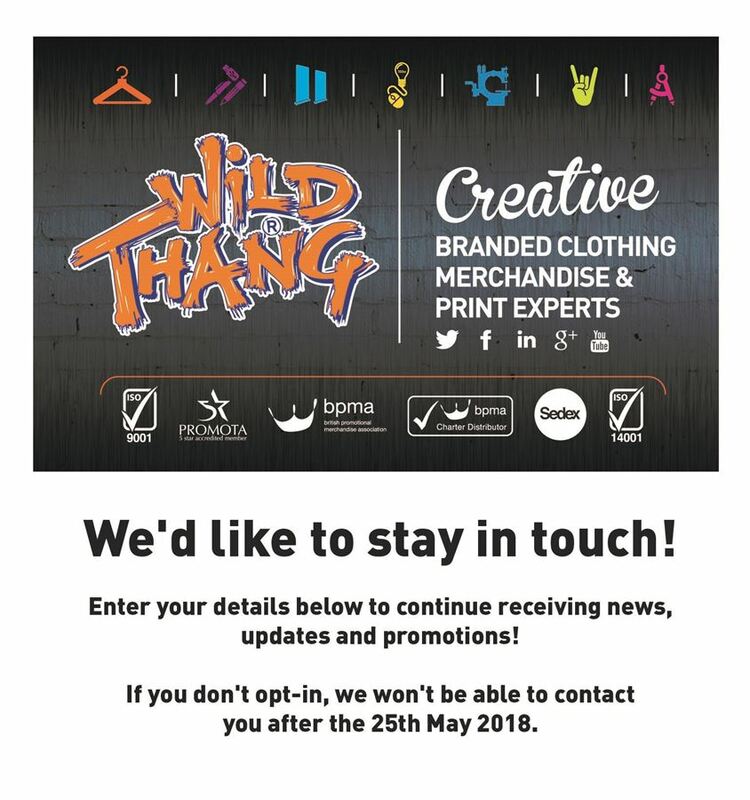 Wild Thang DO NOT imply that all these products have been supplied to, or endorsed by the individuals owners or companies of these said names or trademarks.